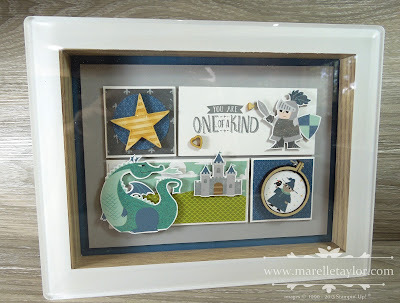 Even though I've been at this papercrafting gig for a while now, sometimes I am still amazed at what can be created from a humble pack of patterned paper! 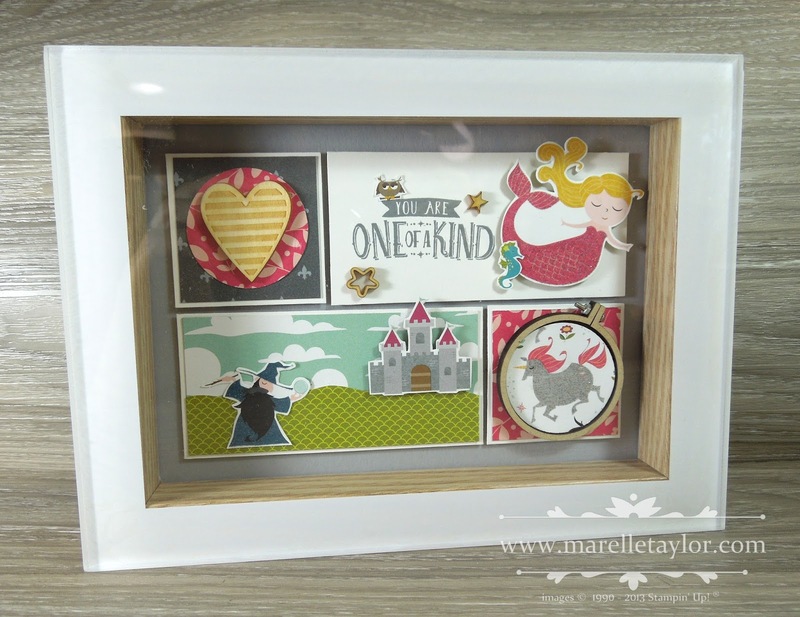 These 2 picture frames (from Kmart Australia) have been turned into one-of-a-kind artworks using predominantly Designer Series Paper and a few wooden embellishments. I think these would look lovely on display in a child's bedroom. I created a blue version and a pink version. Feel free to copy these to make a Magical Artwork for the little wizard/dragon/mermaid/unicorn in your life! All the supplies are available in my online store.